Traditional Terracotta Clay Plant Pot - 5.5"
Traditional Terracotta Clay Plant Pot - 5.5 inch from the Woodlodge Spang range of standard planters, unglazed with a smooth finish with no decoration and a central drainage hole. Clay plant pots are so well liked by professional gardeners because they know what is best for plants, and the clay construction allows water and air to permeate through the sides. Ideal for a wide variety of plants, especially those which prefer dry conditions. These unglazed frost resistant terracotta clay pots are equally suitable for rooting cuttings around the edges of the pot. Single Clay Plant Pot Supplied. Other sizes available in our range. 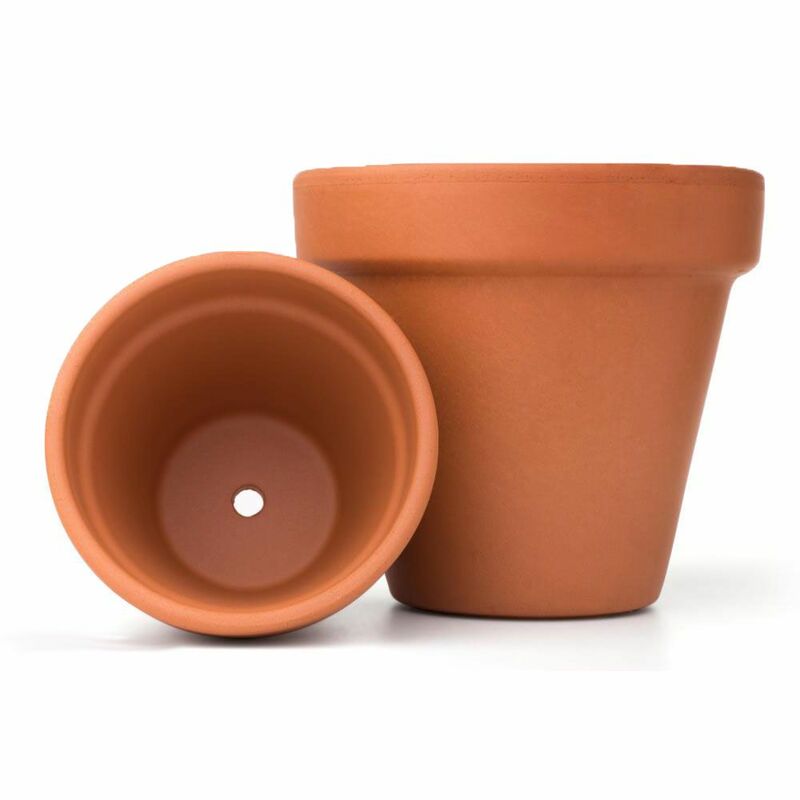 Traditional Terracotta Clay Plant Pot - 2.5"
Traditional Terracotta Clay Plant Pot - 4"